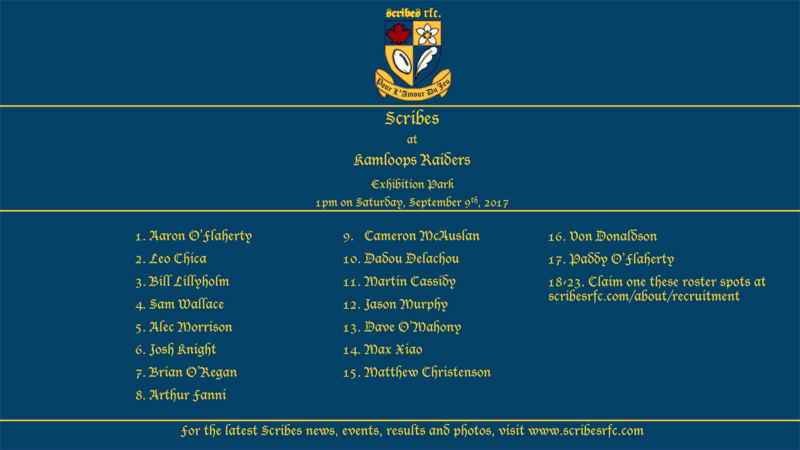 The Scribes Men kick off their season this Saturday afternoon in Kamloops. The 2017-18 BC Rugby Division 2 season stretches over 22 rounds spanning from September until April. It will no doubt be a challenging slog, and early season wins will be important for building confidence. The men took part in a spirited exhibition match last weekend against the Portland Pigs, with Portland eeking out a 36-30 result. Since then, the Scribes have looked sharp in training and are now set to travel to Kamloops where they will face a squad known for their strength at home. The match at Exhibition Park in Kamloops kicks off at 1:00pm on Saturday. The Scribes Women do not have a game scheduled this weekend, but will begin their season on September 16th at Ridge Meadows.